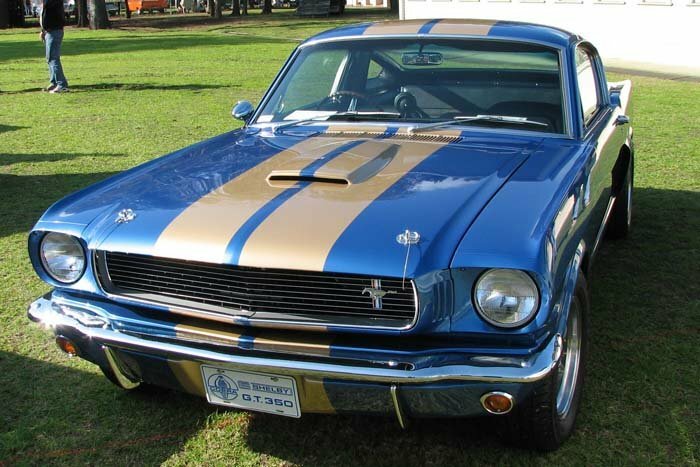 In 1966 Carroll Shelby signed a deal with the Hertz rental car company for around 1000 cars. Around 750 of them were black with gold stripes, but a few other colours were also offered. Here is my own Blue/Gold stripe replica rent-a-racer.